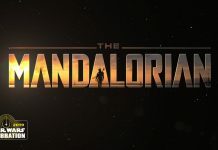 The dedicated panel for The Mandalorian live-action TV series just concluded at Star Wars Celebration Chicago. 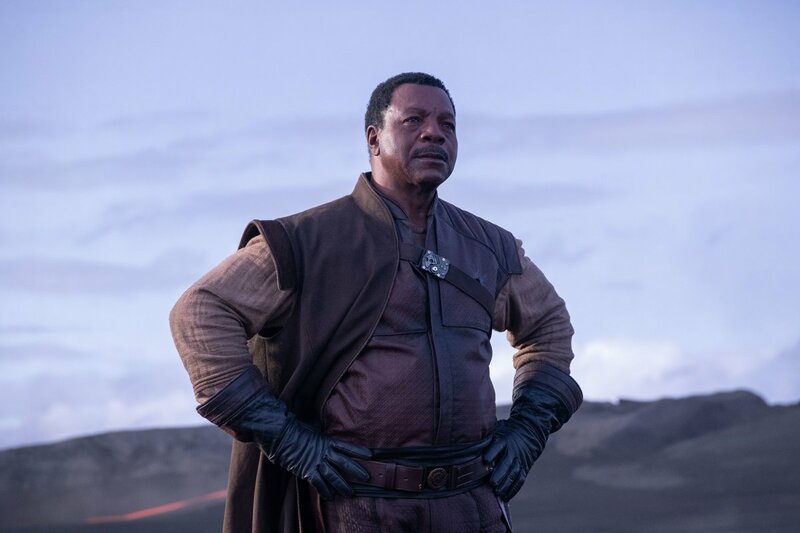 Jon Favreau and Dave Filoni were joined on stage by cast members Pedro Pascal, Gina Carano, and Carl Weathers (Apollo!). 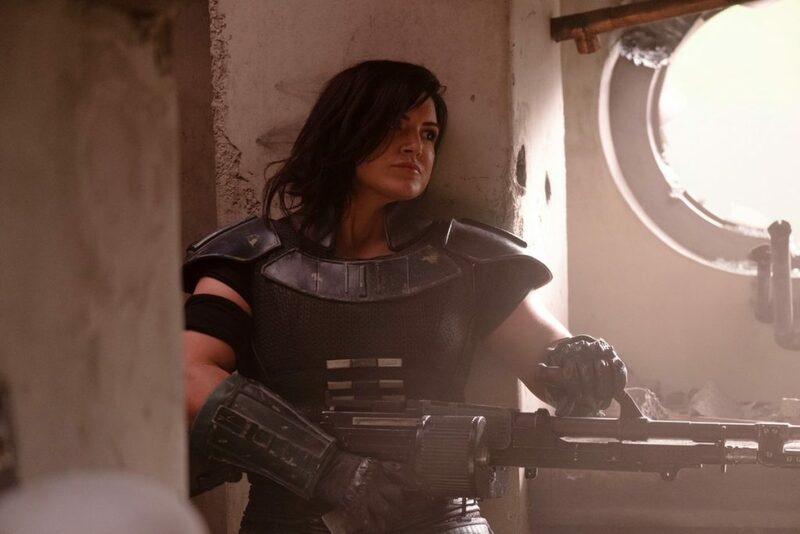 During the presentation, the official logo for the series was revealed along with a sizzle reel and photos of the characters played by each of the attending cast members. 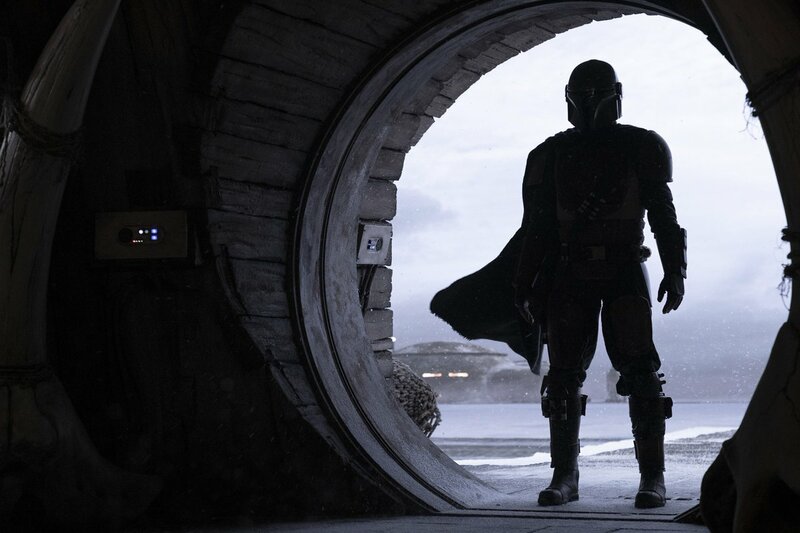 The Disney Investor Day presentation that took place on Thursday gave us our first look at the logo for The Mandalorian series. That logo had a metallic look/textured grey aesthetic applied to it. However, the logo that was revealed during today’s panel at Celebration drops that metallic/grey look for a more natural desert landscape set against the backdrop of a setting sun. Either way, both versions of the logo look spectacular. 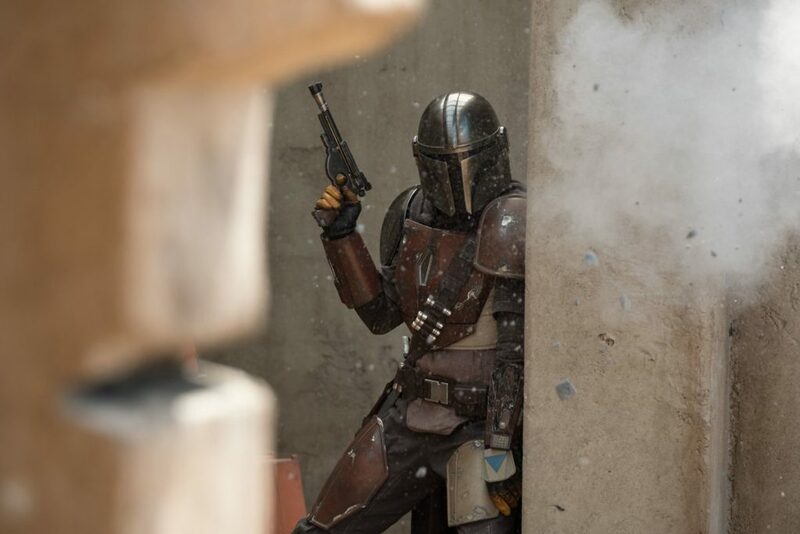 The Mandalorian, an 8-episode series, will be available exclusively on the new Disney+ streaming service and will be arriving when the service officially debuts in the United States on November 12. 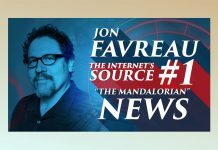 Check out the new logo for The Mandalorian and a few official images below!